MQG recently called on Justice Minister Ayelet Shaked to defend the courts’ dignity and stature, following multiple accounts of contempt and blatant disregard to the judicial branch on behalf of many elected officials; Through their irresponsible and undignified words, they have disregarded the grave damage they may have caused to the judicial branch. 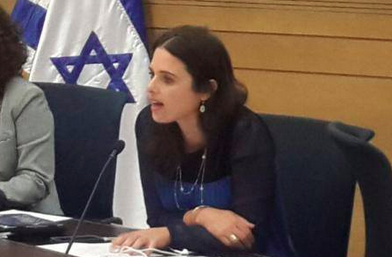 The Movement for Quality of Government recently called on Minister of Justice Ayelet Shaked to act towards the strengthening and reinforcing of the Courts’ status in Israel, and of the entire Judicial System as part of the three branches of government in Israel. The Judiciary should be a strong and independent authority that should uphold its important role in the fabric of the checks and balances in Israel. It Appears that the walls of decency have completely collapsed, and that words no longer undergo any form of screening. We are now witnessing very serious accusations against presiding judges, the Israeli Judicial System and even the Supreme Court. Even worse are the implications of those claims on the people of Israel. Such harsh expressions against judges, reminiscent of calls made by soccer players at the end of the match, have brought the public discourse to new lows, challenging the stature and disrespecting the court and its judges. Such veiled and openly voiced threats against judges can be found all over social media fostering mistrust and a lack of confidence of the Israeli public in its elected officials who choose to speak in such derogatory manner, inconsistent with their public positions and status. A Further threat is the continuous erosion of the courts’ authority and stature in Israel, which might lead (and possibly already have) to a harsher blow to the separation of powers – Which is one of the corner stones of the Israeli democratic system, and to a total breach of the fabric of checks and balances that holds the weight of governance in our country, ensuring that democracy and freedom are upheld. In such a state of affairs, it is imperative that Justice Minister Shaked voice her concern and defend the Judicial System, the courts, the judges and civil servants and employees of the judicial system. There is no doubt that a clear and strong position coming from the Minister of Justice, who is entrusted to safeguard the judicial system and courts in Israel, will serve as a warning sign to all those who might wish to lash their tongues at the courts and its judges in the future. In the state of Israel, which is a democratic state of law, criticism towards the government and various authorities is most welcome; Notwithstanding, there is no place for words of such a manner to be used against the courts that are faithfully doing their job. Those expressions are a severe blow to Israel’s form of government as a whole.